A group of students gathers around a section of the cafeteria. Chatter and low-volume conversations can be heard as students sip hot or iced coffee, munch on breakfast sandwiches, enjoy yogurt parfaits, and get ready to learn. This is not a college campus or city center plaza. 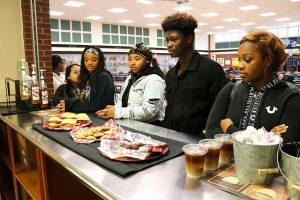 This is a pilot program set to take place at five DeKalb County School District (DCSD) high schools, including Columbia, Lithonia, Southwest DeKalb, Stephenson, and Stone Mountain after Spring Break 2019. With the new program, students and staff will be able to enjoy an extended breakfast menu with items not normally offered at a traditional high school, including flavored hot or iced coffee, juice, fresh fruit, yogurt parfaits, healthy breakfast sandwiches, scones, and more. The service will work in conjunction with normally scheduled breakfast times to promote cafeteria services to students. 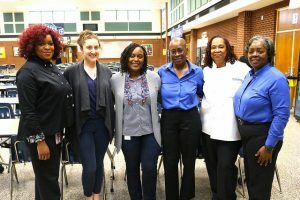 According to School Nutrition Services Executive Director, Dr. Connie Walker, the new program is a partnership between DCSD and the Atlanta Community Food Bank designed to encourage students to eat breakfast on campus. Dr. Walker hopes to extend the program across the district if the pilot program proves to be successful. She is in scheduled talks with the Atlanta Community Food Bank, who has provided $2,500 per site for equipment costs. In late February, Stephenson High School students and staff obtained a first look at the program as part of a surveyed taste test. A similar taste test took place at the Robert R. Freeman Administration & Instructional Complex. After enjoying their respective food and beverages, attendees completed questionnaires and provided suggestions on how to perfect the program. More than 135 students and staff provided input. Menu items were decided upon and facilitated by District Chef and Cafeteria Manager Trainer Samantha Sixto-Rumley. She was pleased to see students enjoy every item and cannot wait to extend the program to other schools. 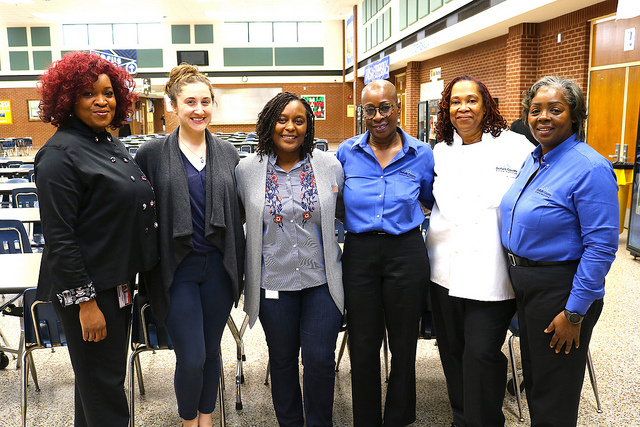 Like Dr. Walker, Chef Sixto-Rumley hopes the extended services at each high school result in greater breakfast participation, which can eventually dovetail into greater attendance at school overall.